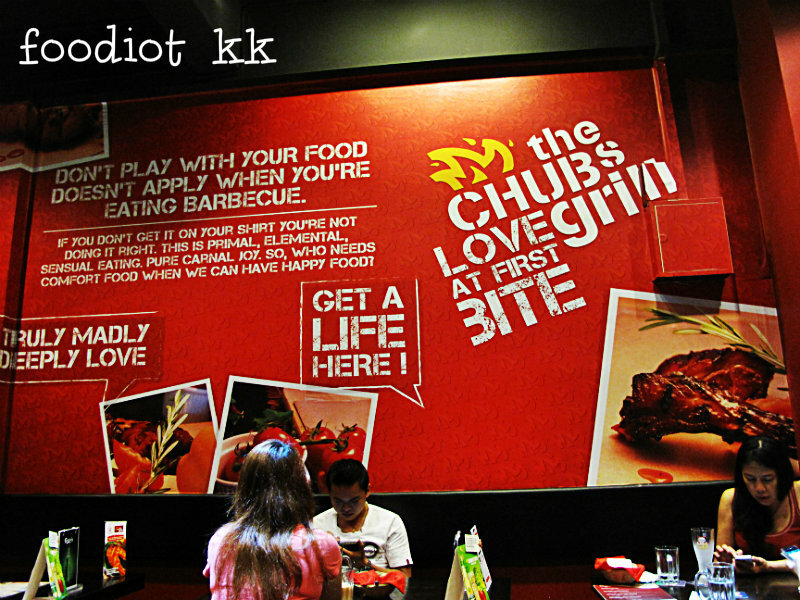 Strictly non-halal. 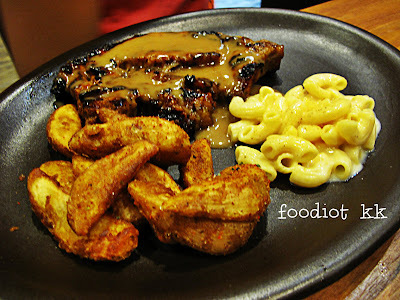 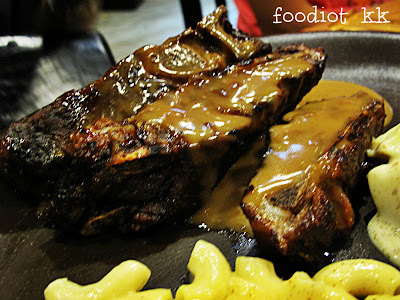 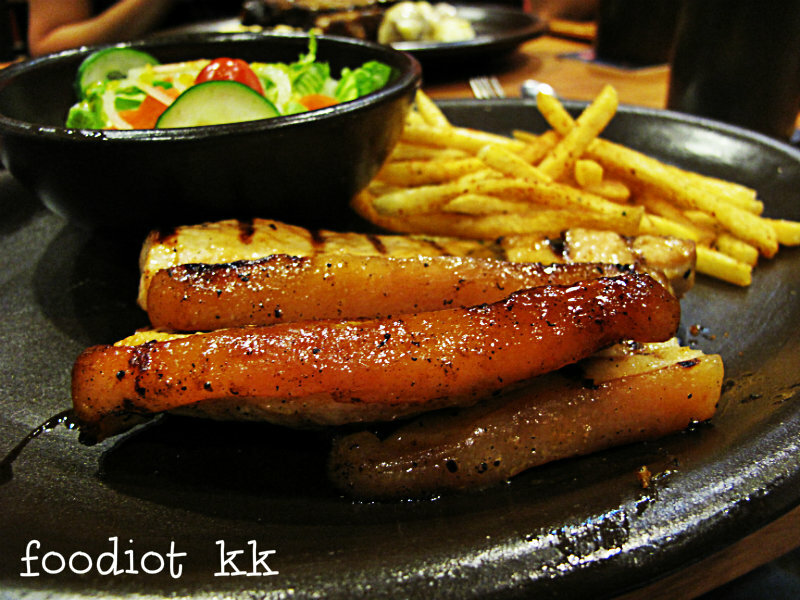 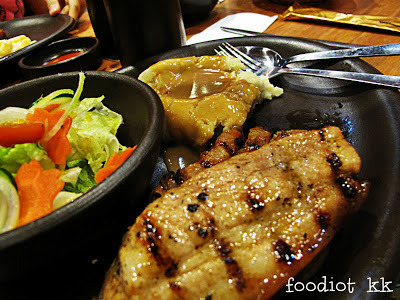 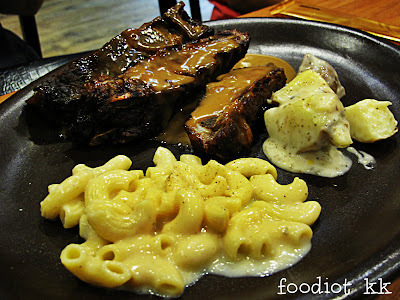 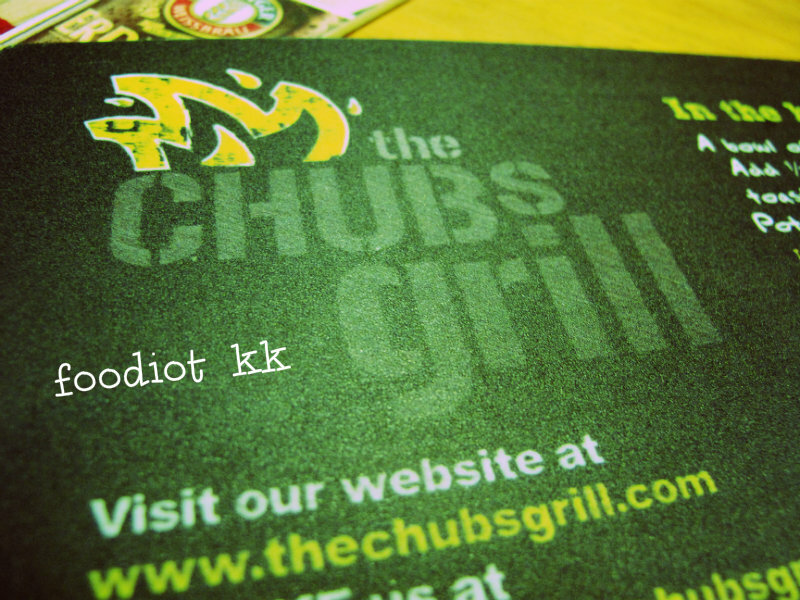 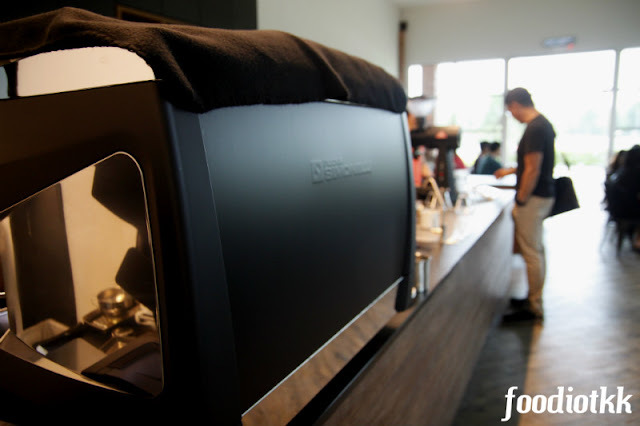 Chub's Grill is one of the best porky-western cooking restaurant in Kota Kinabalu. As the name suggest, they grill almost everything, including the most popular BBQ pork ribs and belly. No complain for the belly, it's so juicy that we sweep clean our plates despite the big portion. 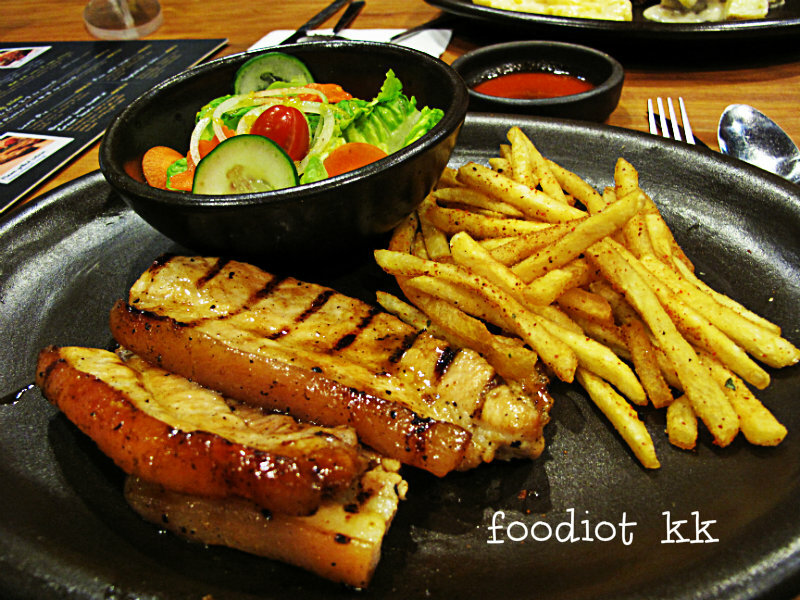 Pork Belly - The best dish in da house, no complain! If you are a porky lover, don't miss out this restaurant. I loved the char-grilled pork belly and the BBQ lamb. All meats here are marinated in their in house special sauce, which is a bit influence of Malaysian / Balinese spice, quite unique in Sabah!